By the looks of the headlines since Wednesday afternoon, you'd think that Apple Park is on fire, and the company is headed for a loss for the quarter. While the earnings miss discussion isn't a net positive for the company, there are still a few things to keep in mind. We got a lot of emails last night about what happened, and let me tell you -- they are loaded with hot takes. Minus the trolls using an assortment of vile language and so forth, let's talk about them, what's going on, and what it means to the Apple user. In case you were under a rock yesterday, Apple published a revenue revision, saying that Apple would hit $84 billion in revenue for the holiday quarter. As such, most of the headlines we've seen overnight are talking about Apple missing projections by $9 billion. Sure, that's not wrong, but it also isn't precise. So, let's get precise -- that $84 billion that Apple CEO Tim Cook was talking about is short of Apple's predicted range by between $5 billion and $9 billion. And, despite the revision, it will still be Apple's second biggest quarter in the history of the company, eclipsed only by the 2017 holiday season. There's been a lot of talk about how the holiday sales propped up Apple, or doomed it to a bad quarter. Given that Apple's profit margin is unchanged from the last quarter, unchanged from what the company predicted in November for the quarter, and effectively the same as the holiday quarter from 2017, that doesn't seem to be the case. 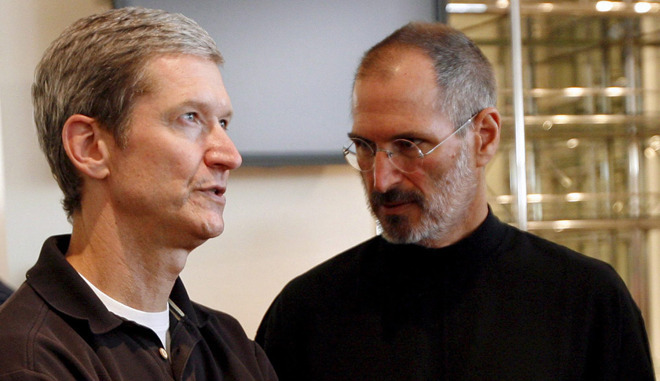 There has been a certain aggression to Apple's sales since Steve Jobs handed the company to Tim Cook. There have always been ways to get Apple's products at less than Apple's retail. Of course, we'd rather Apple had hit its targets, but let's talk about the letter itself, and the knee-jerk reactions we're seeing. The biggest takeaway is business in China -- which I very briefly mentioned in our forums last night. Cook had a lot to say on the matter, and the emphasis we're putting on the full quote below is ours, not his. From this, there are two key takeaways. Weakness in China for the iPhone for any one of an assortment in reasons is the key driver, and given that both statements are true, Apple's other products like the Mac and iPad more than made up the difference -- and performed better than Apple had expected. Indeed, revenue records, even with all the sales that have been decried by analysts, were set across the globe -- just not in China. Cook was specific about what products brought in these record-breaking revenue as well. Also, as I mentioned earlier, revenue outside of our iPhone business grew by almost 19 percent year-over-year, including all-time record revenue from Services, Wearables and Mac. Specifically, services generated over $10.8 billion in revenue during the quarter, hitting record revenue in "every geographic segment." Wearables grew 50 percent year-over-year, and the Mac saw unspecified year-over year revenue growth, and the iPad Pro saw double-digit revenue growth. Cook said in the letter that Apple was going to report an all-time record for earnings per share. Earnings per share is a derived metric. It's great that this is a record, but this was inevitable, given the ongoing stock buyback that the company has been proceeding with unabated. "But the analysts were right!" Well, considering that their job is telling investors what they think about a company's prospects, it's about time that they got something right. A blind squirrel eventually finds a nut. However, the irresponsible hot takes from most of them this morning are coming fast and furious. There are calls for Tim Cook's resignation, which are insane from a shareholder value perspective. There are second-guesses about everything. 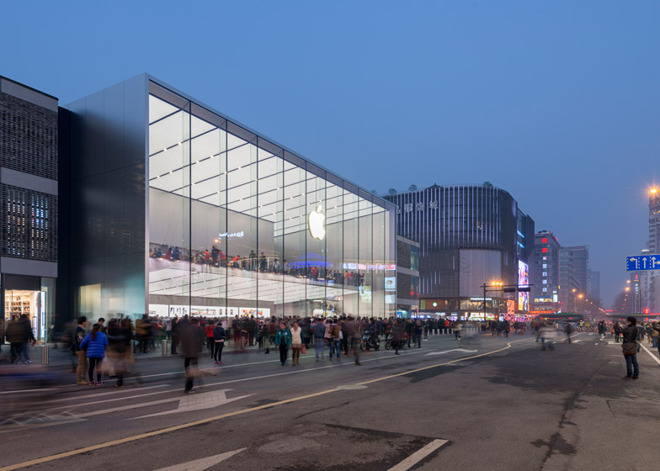 There is a lawsuit in the works claiming that Apple misled investors with last quarter's claims about China, because sales were up last quarter, so how could they possibly be down this quarter. There is a lot of unnecessary panic about every single aspect of Apple's business -- including the parts like Services, the Mac, and wearables that Cook called out as record-breaking. And, there is already a lot of useless hyperbole, like Wedbush's Daniel Ives saying that Wednesday was "Apple's darkest day in the iPhone era." One analyst -- and note that he's repeatedly emailed us with the exact same claim -- says that foot traffic in Apple stores is "pathetic." That seems like a bad take given our own observations, and the aforementioned record revenue in the US, which the letter clearly spelled out. Idiotic comparisons to Nokia and Blackberry have already begun from other analysts. None of this changes the fact that there will be an iPhone in 2019, and probably a refresh every year until we all die of old age and are forgotten. This isn't the first time that Apple has posted an earnings miss. In 2002, Steve Jobs announced one too. On June 18, 2002, Apple issued a two-paragraph warning that they were going to miss earnings. Apple predicted that it would generate about $1.6 billion. It corrected that figure to between $1.4 billion to $1.45 billion. This is, literally, half of the warning that was issued then. "Like others in our industry, we are experiencing a slowdown in sales this quarter. As a result, we're going to miss our revenue projections by around 10%, resulting in slightly lower profits," said Steve Jobs, Apple's CEO. "We've got some amazing new products in development, so we're excited about the year ahead. As one of the few companies currently making a profit in the PC business, we remain very optimistic about Apple's prospects for long-term growth." We're not going to delve into the history here. John Gruber at Daring Fireball discussed this at some length, and it is a good read. But what does this mean for the users? Of course, from this chair, we'd rather Apple have made the predicted revenue target. But, Wednesday's letter to investors means just as much to users as every other earnings report has for the last 15 years. It means exactly nothing. Why this happened means nothing to the user, at least outside of China. China consumers buying cheaper Chinese brands isn't a big surprise -- what was the surprise is by how much they did it. Apple isn't going to shut down the iCloud servers, isn't going to sell itself to Dell or anybody else, and it isn't going to focus on anything but the highest-end of the market. Your iPhone won't magically stop working because of the only $84 billion in the quarter that the company is expecting to make, and the data that I am moving from one Thunderbolt array to another right now isn't going to transfer slower. From a pricing perspective, we aren't expecting any radical changes in the company's sales structure for any of its hardware. You're going to hear a lot in the next few weeks before the earnings announcement. You're going to hear a lot of talking heads suggest what Apple should do, you're going to hear a lot of hardware suggestions that will save the company on the news, in our forums, on Reddit, on Twitter, and on your social media venue of choice. While that wish-fulfillment fantasy may make that person happy, none of the suggestions will be the savior of the company that the navel-gazer thinks it will be. The only thing that changed for all of us between December 31 and January 1 is a numerical year increment -- there was no seismic shift in attitudes or humanity as a whole over that one day. Likewise, the only thing that's changed for Apple between Wednesday morning and Thursday is that Apple will report that it made more money in a quarter than it did from 2000 to 2005 in total, instead of 2000 to 2006. It will evolve like it always has, and survive just fine. The overreliance on China for manufacturing and growth put company earnings at risk. What bugs me is Tim Cook was on an advisory council to the White House, so he should’ve seen the tariffs and trade issues coming from far away and spent more time trying to insulate Apple from the inevitable. I think Apple should start to go for market share (means lower cost devices) again, this would also increase services (app sales). Currently it looks like most iPhone sales are coming from existing customers that upgrade (or don't upgrade). I don't believe selling iPhone 7 / iPhone 8 at discount helps, because they look old and are comparatively expensive when you look at full screen display devices from other manufacturers. An iPhone SE with full screen display and Face ID would be great. A lower cost iPhone X sized device should also drive sales. Given the current feud between the US president and China over trade, ongoing concerns of IP pirating in the area, and the fact that Apple still manages to demand (and get!) premium prices, suggests that this is just normal business, impacted by external forces that are neither predictable nor consistent. Just like you shouldn't dump your 401K after a bad day on Wall Street, missing an earnings projection shouldn't result in dumping any particular business. Every market has a correction now and again, and even Apple isn't immune to it. How they choose to react to it, no that is where the news will be -- and I would not expect to see a lot of teeth-gnashing or hear any layoff discussions from Apple as a result either. What makes you believe Tim Cook didn’t see this coming? The fact that he didn’t move manufacturing from china overnight? No way. Competing on price is a losing game. I had seen the after market share price drop before reading the letter. When I read the letter, I saw it as just another Wall Street overreaction. Yes, Apple needs to make some adjustments in things- somewhat lower prices would be a start. Some new exciting products. But, that sort of advice can apply to pretty much every company on the planet. Mostly, the reaction to Apple's news reminded me of other news yesterday. Tesla reported that it delivered 90,700 cars in the 4th quarter. That was a miss of about 350 from what analysts expected. Not 3500 or 35000... 350... .38%. Their stock was pummeled too yesterday. Wall Street always overreacts because so much of the trading is done via computers and automated programs. Humans didn't specifically order sales of Apple stock, their computer algorithms did it. And if on January 29, Apple revenues turn out to be above $84 billion, those same algorithms are going to send the stock soaring too much in the other direction. I think Apple should stick with its long term business plan and not go nuts over a single quarter’s news. Aside from the supporting points in the editorial above, it’s worth noting that Apple has a lot of cash on hand and is more than capable of weathering some difficulties without being impulsive. A note to forum readers: consider the usefulness of comments here from people with single-digit post histories who just signed up to make hair-on-fire posts. There’s a good chance they’re just here to manipulate the conversation. Market volatility is great for short-term profiteers. Clearly something happened within the last month or so that Apple execs didn’t see coming. Getting ready to significantly up my stake in Apple . Let the reactionaries take the stock down a little more then buy! In the UK, I noticed a lot of people given Huawei's mobiles and tablets as a gift. That surprised me and started thinking that Apple wouldn't have a good holiday season in UK, so I am not surprised about the news. Pricing is definitely affecting iPhone and iPad sales. It suddenly all makes sense. Apple has to have been out of the market for some time, principally because they wanted at all costs to avoid any appearance of taking advantage of this down market. And that absence in turn explains why Apple dropped so precipitously, and then refused to rebound. But hi-ho, look where that leaves them now! They’ve literally pre-announced their earnings, because they waited until the quarter was over – which means they aren’t subjected to the requirement to hold off buying AAPL in advance of earnings! And THAT means that not only are they going to be back in the market, but they are going to be back in with a vengeance – just when AAPL bottoms out with news of a (fairly moderate, all things considered) earnings miss. And not only that, but they’re back in the market when most of the short term profiteers have been wrung out of AAPL. And finally, they have inadvertently kept their powder dry to the tune of at least $130 B, which means that over the next three full months Apple can buy back AAPL until the cows come home! Folks, if I wasn’t on fixed income, I’d be buying AAPL like crazy during this dip, because it’s now practically a sure bet Apple will be! Nobody can predict what will come out of the White House, plans change the same day just as the wind. Unlike other economic downturns this one will have the added bonus of relaxed or now missing Wall Street oversights laws, and unpredictable executive branch lead by someone without the capacity and knowledge of a global economic strategy and a someone who believes they know more than people with life long careers in highly specialized fields. The ripples are just now being felt. There's no evidence that Apple spend more $Billions on stock buybacks will be driving the price higher than it otherwise would, and it's not stock that Apple holds as an asset either. I don't see the win-win for investors but whatever. I don't currently directly own shares of any of the techs. While everyone is reacting to the here and now, remember Wall St. is forward looking. The concern is that this is the beginning of a trend of reduced earnings and struggles with selling product in developing markets. Apple has saturated the the market for premium phones. iPhone owners are delaying replacing their phones. Developing markets can’t afford Apple’s premium priced iPhones and overwhelming turn to Android phones. Is Apple capable of delivering a truly new and innovative product that can propel revenue growth? They missed a huge opportunity with smart speakers and are playing catch-up. Can they develop services offerings that are compelling and revenue/profit rich? These are the factors driving the share price. the trade issues with China will eventually work their way through. But for now there is much uncertainty, which is always a negative on Wall St. Apple is at risk relying on China for manufacturing and this needs to be addressed. The Chinese market is not a free market and Apple cannot count on growth there due to government interventions. Overall Apple will continue to be a highly successful enterprise but they will struggle with the double digit growth the market became accustomed over the past decade. I don't think they need to compete (= match the price of the competition). But the problem is, the new models just got more expensive than ever and a small device is missing at all. The XR is nice (I own one) but quite big and heavy. They definitely need a successor for the iPhone SE. The question here is: is the drop in iPhone sales in China an "accident de parcours", like the French say or is there a fundamental shift going on, where the recent announcement is only the first sign of a new trend. The number of iPhone customers have not been growing in the last couple of years. Apple still want to have records quarters, so Apple wants to sell more to the same customer: by selling services and by increasing the price of the hardware. I think the former is great but the latter is a risky business. The higher the price the more people are encouraged to wait or to look for alternatives. The Chinese market share figures of the last quarter will be Important. If Apple has lost a relevant chunk of the market share, this could mean that the Chinese customer did not postpone his iPhone purchase but actually switched to an Android. Huawei already announced that they had a very good quarter mainly driven by smartphones in the $250 - $400 range. The quality of the mid-range devices has improved dramatically in the last 2 years; the devices are more than good enough for 95% of the daily use cases. And here lies the threat for Apple. iPhone users might be tempted to do some cost saving, without losing much functionality. Wall Street hasn't been forward-looking in over 20 years.